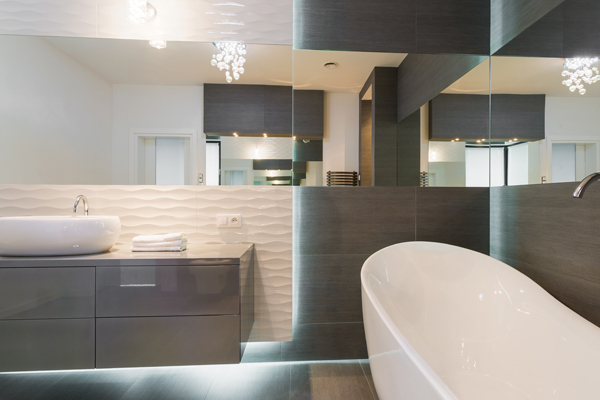 Creating the right atmosphere in your bathroom makes such a difference to the overall feel of your space. This is why choosing the right bathroom lights is so important. To give your bathroom a touch of class, and save space, wall lights can create a cosy atmosphere without overpowering your room. 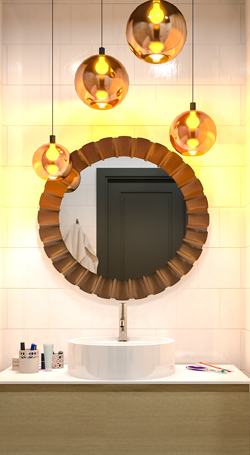 With uplighters, you can create dramatic shadows and warm tones to turn your bathroom into a haven where you can retreat and close the door on the world. Some bathroom wall lights can throw interesting patterns and shapes onto your walls, creating a feature and brightening up a plain space. 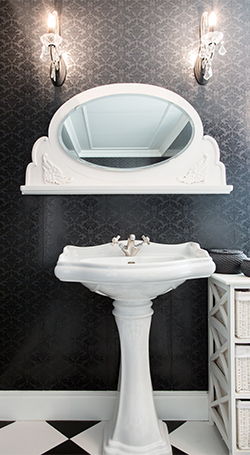 This can be an easy and inexpensive way to make your bathroom feel unique and give you the wow factor. 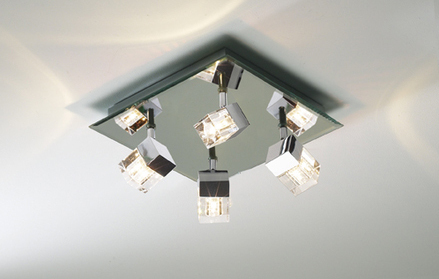 Ceiling lights can be used alone or to complement wall lights or other light sources around the bathroom. Choosing something that is bright enough to see by, but not too harsh on your eyes when you visit the bathroom, is definitely a difficult balance. Nobody wants to be blinded in the middle of the night but you need to be able to see enough not to trip over. A glass, opaque globe light can help with this as can using a fixture or fitting which directs the light around the bathroom rather than pointing it directly downwards. will be best for the bathroom as dust can gather quickly. 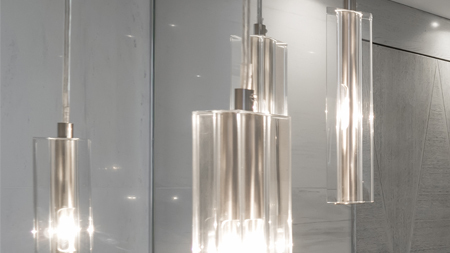 Bathroom ceiling lights are best in glass or chrome so they can be easily wiped down. For obvious reasons, cloth or paper should be avoided as the moisture in a bathroom can easily damage them. 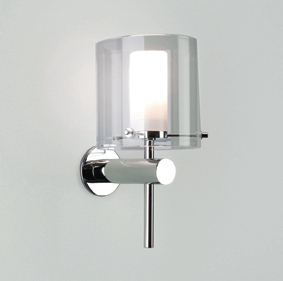 Wall lights should be the same; condensation can build up on the walls so make sure the fittings you are using are safe to be used in a bathroom. 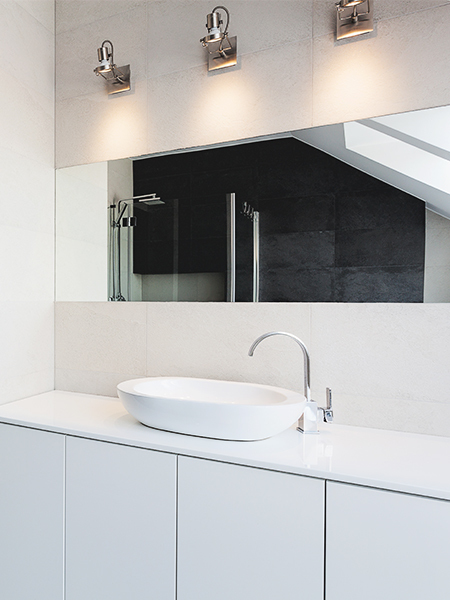 Bathroom spotlights and recessed lights can add a modern edge to an old bathroom or can bring a bespoke feel to a room. 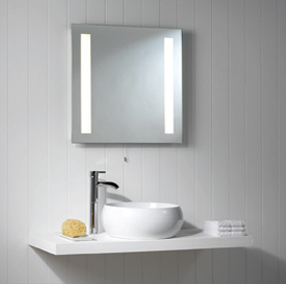 For something a bit different, you can bring out your inner diva with an illuminated mirror. Who wouldn't want to sit at a looking glass surrounded by soft bulbs feeling like a 1950s film star? The light gives off a soft glow and will give you a perfect place to put on make-up or pamper yourself. colour changing, can give your bathroom a unique feeling and inject some colour into the room. PLEASE ENSURE you contact a qualified installer prior to purchasing any bathroom lighting, to be sure the chosen light is suitable for the bathroom zone it's to be positioned in.